Rare Blenko 7225X Charisma decanter design by John Nickerson for Blenko. 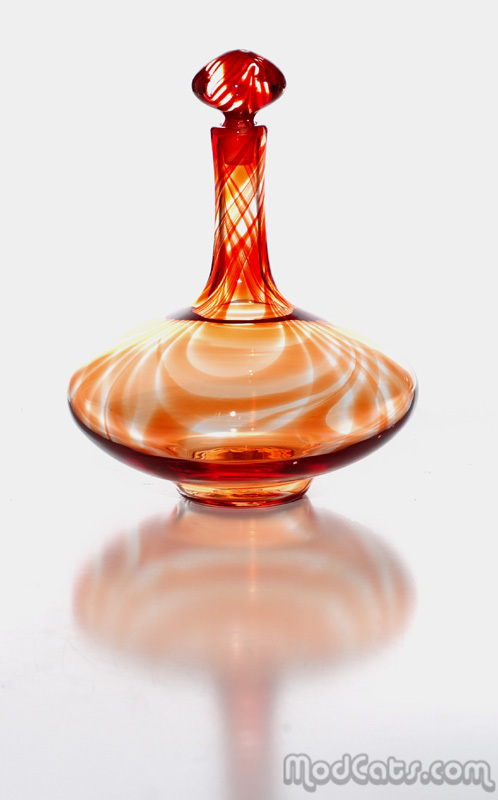 This is one of two decanters in the Charisma specialty line that was produced for only one year. These pieces feature Blenko's original ruby red color swirled into clear crystal making very striking patterns.